Arsenic trioxide (ATO) consolidation was effective and safe in newly diagnosed pediatric patients with acute promyelocytic leukemia (APL), allowing a significant reduction in cumulative anthracycline doses, according to investigators from the Children’s Oncology Group. In the randomized, historically-controlled, phase III AAML0631 trial, investigators compared outcomes for patients aged 2 to 21 years who underwent ATO with data collected in the historical control trial AIDA 0493. Overall survival (OS) was 94% at 3 years in AAML0631, and event-free survival (EFS was 91%). Investigators separated patients into standard-risk (n= 66) or high-risk (n = 35) groups. OS was 98% for standard-risk patients versus 86% for high risk (P = .003). EFS was 95% versus 83%, respectively (P = .03). Standard-risk patients had a 2-year EFS of 97%, including molecular relapse as an event, compared with 91% for patients in AIDA 0493, which censored molecular relapses. Researchers said AAML0631 met the predetermined statistical criteria to conclude that outcomes were noninferior to results in AIDA 0493 (P = .93). Three-year risk for relapse was 4% ± 4% for all patients, superior to findings in AIDA 0493. “Treatment of pediatric APL with anthracyclines and all-trans retinoic acid [ATRA] has resulted in excellent outcomes, but in this young population, intensive chemotherapy regimens may cause significant toxicity, including late cardiotoxicity. 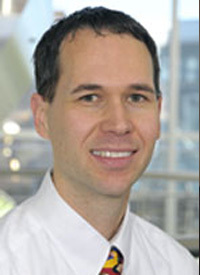 Our trial demonstrates that chemotherapy with ATO consolidation can result in a low relapse rate in both standard-risk and high-risk APL,” first author Matthew A. Kutny, MD, University of Alabama at Birmingham Department of Pediatrics, Division of Hematology/Oncology, and coinvestigators wrote. “The use of ATO allowed an approximate 40% decrease in cumulative anthracycline dosing without compromising survival in standard-risk APL compared with a benchmark from the AIDA 0493 trial. All patients (N = 101) received 2 cycles of ATO therapy during consolidation 1. Standard-risk patients received 2 additional consolidation courses that included high-dose cytarabine and anthracycline, and maintenance therapy comprising ATRA, oral methotrexate, and mercaptopurine. High-risk patients received 3 additional courses. The entire cohort received ATRA during induction, each consolidation course, and maintenance. Historically, physicians have included high doses of anthracyclines in the treatment of pediatric APL. However, anthracyclines are associated with an increased risk for cardiac toxicity, and the risk grows with higher cumulative doses (≥300 mg/m2) and younger age at exposure. ATRA has been shown to improve survival in pediatric APL. ATRA was administered at a divided daily dose of 25 mg/m2 on induction days 1 to 30, and days 1 to 14 of each consolidation course and each maintenance cycle. Induction included ATRA and idarubicin. Consolidation included 2 cycles of ATRA and ATO. Patients received nine 12-week cycles of maintenance therapy consisting of ATRA, 6-mercaptopurine, and oral methotrexate. Standard-risk patients received 3 prophylactic treatments of intrathecal cytarabine and high-risk patients received 4. Hematologic complete response was 81%, but patients could remain on-protocol regardless of response at the end of induction. PML-RAR RQ-PCR analysis at the end of consolidation showed a molecular remission rate of 100%. The investigators reported that the incidence of adverse events (AEs) was highest during induction (82%), followed by consolidation 2 (73%), consolidation 4 (69%), combined maintenance cycles (53%), consolidation 1 cycle 1 (34%), consolidation 1 cycle 2 (30%), and consolidation 3 (13%). Median follow-up for patients alive at last contact was 3.73 years (range, 0.003-5.97). For patients who survived to receive ATO in consolidation 1, 3-year disease-free survival was 93% ± 6% for standard-risk patients and 89% ± 12% in the high-risk group. Kutny MA, Alonzo TA, Gerbing RB, et al. Arsenic trioxide consolidation allows anthracycline dose reduction for pediatric patients with acute promyelocytic leukemia: Report from the Children’s Oncology Group phase III historically controlled trial AAML0631 [published online August 2, 2017]. J Clin Oncol. doi: 10.1200/JCO.2016.71.6183.